The new sparling model ready to be transported to the Newton Stewart Museum. The model was designed with the shoaling behaviour of sparling in mind. 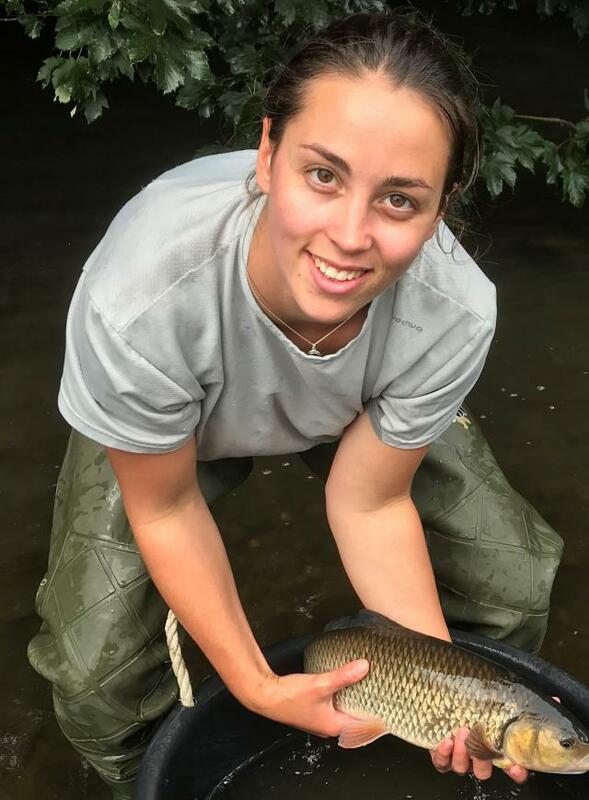 The three fish, which include one gravid female at the back, are surrounded by hundreds of eggs along the river bed representing typical behaviour during the sparling spawning period in spring. 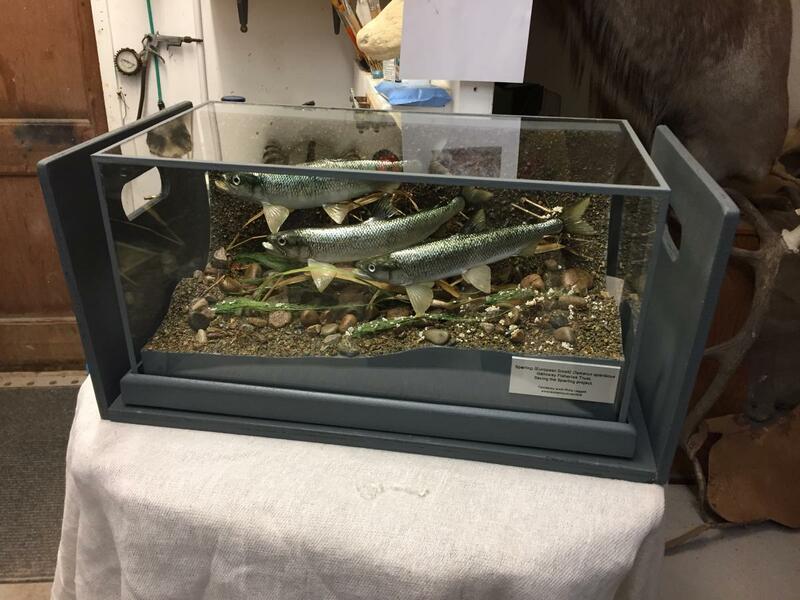 If you would like to view the model in person it will be part of the Sparling Exhibit at the Newton Stewart Museum. On the rare occasion over the summer, the model will visit events around Scotland to highlight the projects main focus, Saving the Sparling. The museum exhibit is open between 2-5pm Monday to Saturday, April 1st to the end of June. Then from July the 1st to the second week in September 10.30am – 5pm and then again from the 3rd week in September until the end of October 2pm-5pm.